Click below for access to Dr. Liptan’s recommended supplements with a 15% discount. Fullscript offers multiple brands. For Thorne products, click here. Founded by Dr. Liptan, Frida Botanicals provides lab-tested tools for lessening the symptoms of chronic pain. Click here for more information. Food can be powerful medicine, but trying to shop, cook, and eat healthy food with fibromyalgia can feel like an insurmountable challenge. Dr. Ginevra Liptan and nutrition consultant Anna Walker present clear and easy-to-follow advice for simple dietary changes that can help relieve fibromyalgia symptoms. This serves as a companion to The FibroManual, containing the same dietary guidance but in a very simple, user-friendly approach with keys to making it happen in real life. Available for Kindle and in paperback at amazon.com. This is the most up-to-date, comprehensive treatment guide to fibromyalgia, by a renowned physician who has the condition herself. In this unique resource, Dr. Liptan shares a cutting-edge new approach that goes far beyond mainstream medical knowledge to produce dramatic symptom improvement. Available from amazon.com and booksellers everywhere. From the founder of myofascial release therapy, John Barnes, this book explores the intricacies of intuitive awareness and the dynamic mind/body healing principles of this wonderful technique. RECENTLY UPDATED with forwards by Ginevra Liptan, MD and Jamie Liptan, LMT! 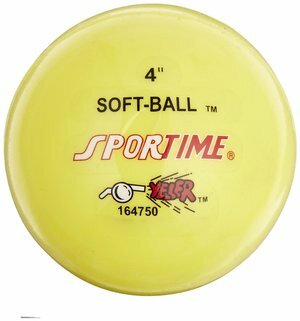 Available at amazon.com and myofascialrelease.com. Dr. Liptan often recommends tools for gentle self-treatment. Many of these are available online and are listed below. Developed by a pair of myofascial release therapists, this self-treatment program is a great way to continue your MFR treatment at home. More than 80 videos presented with simplicity and gentleness. Highly recommended! Designed to feel and function like skilled therapeutic hands under the body, the CranioCradle® gently relaxes tense muscles, relieves aches, pains and fatigue and provides deep relaxation. Available at amazon.com. This excellent self-care guide teaches you how to use a variety of tools, such as the 4" small ball and CranioCradle, as well as introducing the MFR way to stretch. Available at amazon.com. This simple yet effective self-massager makes it easy to apply pain-relieving deep compression directly to hard, knotted trigger points anywhere they occur, breaking up tension even in the hardest-to-reach muscle areas. Available at amazon.com. This softer density foam roller is cut in half, allowing your body to let go of the need to balance on a round surface and ease into positions for self treatment. Available at amazon.com. From John F. Barnes, PT, founder of myofascial release, this guided meditation CD can help you calm the fight-or-flight response and increase your relaxation response. 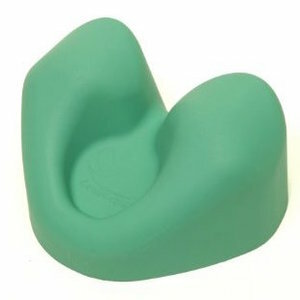 Available at myofascialrelease.com. Specially shaped to fit the contours of the sacrum, this gentle tool helps maintain pelvic alignment, ease back pain, and calm the central nervous system. Sold in female (pink) and male (blue) versions. Available at amazon.com. This soft vinyl ball, used as part of a home therapy program, can really help ease tension and pain at their source. Available at amazon.com. 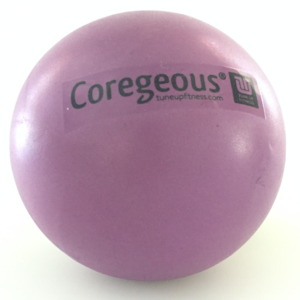 This soft inflatable ball is perfect for easing fascial tension across larger areas. It can be easily deflated or inflated to find the perfect resistance. Available at amazon.com. This wonderful little tool sticks to the wall, allowing you to lean into it with your body weight to release tense, knotty areas. Available on amazon.com.